The temperature roller coaster continues, but compared to last week, you'll laugh at the lows. Icy streets and sidewalks are another matter. We just restocked our salt. Susan Gloss follows up her breakout debut novel Vintage with a charming Wisconsin story of artists, inspiration, and how to reinvent your life with purpose and flair. Mansion Hill Artists’ Colony. The metal sculptor keeps everyone awake with late-night welding projects. The dreadlocked granny, known for her avant garde performance pieces, is probably dealing drugs out of the basement. Meanwhile, the art student on the third floor leads a string of bad boyfriends upstairs when she stumbles home late at night. Despite all the drama, Nell finds something akin to a family among the members of the creative community that she’s brought together. Soon, Nell is forced to decide what will bring her greater joy - the creative, inspired world she’s created, or the familiar but increasingly fragile one of her marriage. Susan Gloss is the Madison-based author of Vintage and a graduate of Notre Dame and UW-Madison Law. Lynden Sculpture Gardern’s Women’s Speaker Series and Milwaukee Reads present a special evening with Pam Jenoff, author of The Orphan’s Tale, speaking about her latest, The Lost Girls of Paris, a novel based on the true story of three women and a ring of female secret agents during World War II. Tickets cost $23, $18 for Lynden members, and include a paperback copy of The Lost Girls of Paris, light refreshments, and admission to the sculpture garden - come early to stroll the grounds. Register by phone, at (414) 446-8794, or at lyndensculpturegarden.org/pamjenoff. 1946, Manhattan. Grace Healy, rebuilding her life after losing her husband during the war, finds an abandoned suitcase containing photographs of a dozen different women beneath a bench at Grand Central Terminal. The suitcase belonged to Eleanor Trigg, leader of twelve women sent to Occupied Europe to aid the resistance who never returned home. Setting out to learn the truth, Grace finds herself drawn to a young mother-turned-agent named Marie and her daring mission overseas. Vividly rendered and inspired by true events, The Lost Girls of Paris shines a light on the incredible heroics of the brave women of the war and weaves a mesmerizing tale of courage, sisterhood, and the great strength of women to survive in the hardest of circumstances. Pam Jenoff is author of The Orphan's Tale, The Diplomat’s Wife, and The Kommandant’s Girl trilogy. She holds degrees from George Washington University, Cambridge, and the University of Pennsylvania. Jenoff formerly worked for the Pentagon and State Department, and now teaches law at Rutgers. Can't make our evening event? Pam Jenoff will also be at the JCC on February 7 at 1:00 pm. More information here. 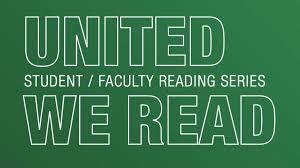 United We Read is a monthly reading series presented by UWM’s Creative Writing Program at venues throughout the city. Students of UWM’s Creative Writing program read their work, along with UWM Professor Liam Callanan, whose latest publication is the paperback release of his novel Paris by the Book, Boswell’s bestselling hardcover novel of 2018. Two-time Newbery Honoree Schmidt, author of The Wednesday Wars and Orbiting Jupiter, brings a new coming-of-age story to Boswell about a boy who one day finds an English butler on his doorstep. Great for adults and kids 10 and up. Carter Jones is astonished early one morning when he finds a real English butler, bowler hat and all, on the doorstep, one who stays to help the Jones family, which is a little bit broken. Now, in addition to figuring out middle school, Carter has to adjust to the unwelcome presence of this new know-it-all adult in his life and navigate the butler's notions of decorum. Carter is dealing with grief and anger, emotions he can’t ignore. With the help of the butler, Carter learns that a burden becomes lighter when it is shared. Sparkling with humor, this insightful and compassionate story will resonate with readers who have confronted secrets of their own. Gary D Schmidt is author of Orbiting Jupiter, the Newbery Honor and Printz Honor book Lizzie Bright and the Buckminster Boy, and the Newbery Honor book The Wednesday Wars. He is a professor of English at Calvin College in Michigan. Get the latest on our events (including any last-minute changes) on our upcoming events page.